When shopping for PVC outdoor blinds, Bundoora homes can find the best service and quality at Elite PVC. PVC outdoor blinds protect your home from energy loss by helping to insulate the biggest energy leak in your home, your windows. When the wind and sun hit your windows, they fill your home with cold air in the winter and heat in the summer. While letting these temperatures into your home, your windows are also constantly leaking out the air that you already paid to condition. This double loss is hard for any air conditioning or heating system to keep up with and costs you extra money on your energy bills. But PVC outdoor blinds will help to protect your home from this energy loss by preventing the sun and wind from getting to your windows while also providing them with extra insulation. When you opt for PVC outdoor blinds, you can choose from numerous different options. We can craft PVC outdoor blinds in Bundoora from strong acrylic, canvas or sunblock mesh. We can also craft systems for our outdoor blinds with crank operation, fixed guide, spring roller blinds and automatic. Our blinds are always custom-made to fit your windows and made only from the best quality, Australian-made materials. Customers who are in search of the easiest and the most energy-saving option should consider automatic outdoor blind systems. Our automatic system is motorised and has options of sun and wind sensors that we can affix to your blinds. Motorised systems last longer because they operate correctly every time. Our motor can run on electricity or solar power, and we will always install them out of sight. Your blinds will adjust to offer you the best protection for your windows from the sun, the wind, and other weather issues. When they need PVC outdoor blinds, Bundoora homeowners will always find what they need at Elite PVC. Do you feel powerless to protect your home from extreme temperatures and weather changes? Many homeowners feel as though they are unable to do anything to prevent the impact of summer and winter on their home. The sun and wind can damage your windows, cold and ice can cause your home to lose heat in the winter, and the heat of summer can cause your home to heat up, potentially leading you to lose your air conditioning. But the weather doesn’t have to control your home and finances. Outdoor blinds can help to protect your home from weather changes. By blocking the wind and sun, outdoor blinds can help to buffer the ravages that the elements can play on your windows. Outdoor blinds can also help to provide insulation, to help keep your home warmer in the winter, and cooler in the summer. For custom weatherproof outdoor blinds in Bundoora, Elite PVC can provide your home with the best options and quality. Elite PVC offers many different systems for controlling your outdoor blinds. Whether you are looking for crank-operated, fixed glide, spring roller guided or automatic blind systems, we have the option to fit your needs. We custom manufacture all of our outdoor blinds, using quality materials made in Australia. Our blinds are available in canvas, PVC, or sunblock mesh. Our automatic blinds are controlled by a discreet motor, which helps to increase the life of your blinds by ensuring proper operation. We have motors that can operate with electricity or solar power. 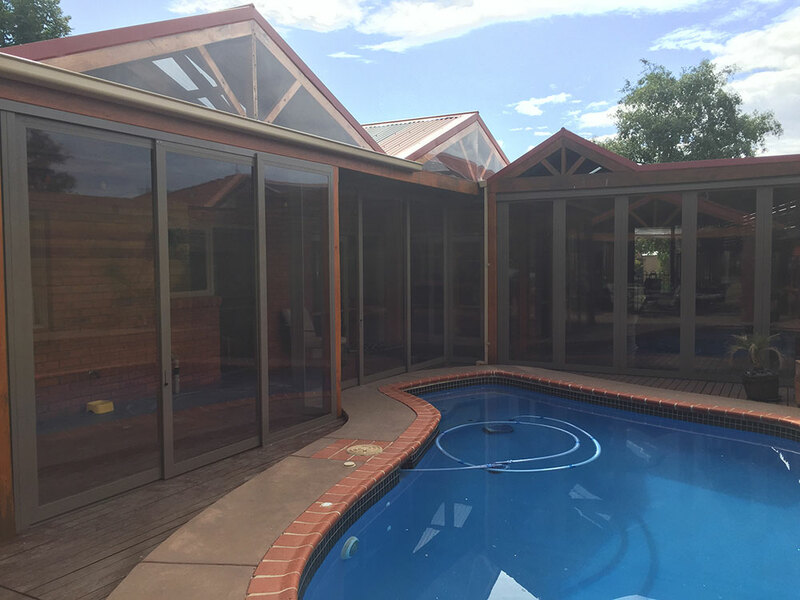 Using our weatherproof outdoor blinds, Bundoora homes will be better insulated and protected from the weather, preventing damage and helping to lower electric costs.